Buy The Nerdy Girl News a Coffee. 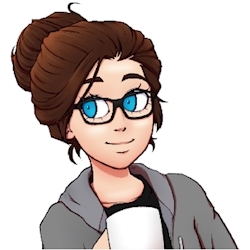 ko-fi.com/gloriaharvley - Ko-fi ❤️ Where creators get paid by fans, with a 'Buy Me a Coffee' button. Aniblogger who does fan theories and cosplay for different fandoms. Hence why I made this Ko-Fi account. With your help, I can expand my writing even further and keep this blog up and running with the best content. But, it takes time and money to run a major website. There are costs like hosting fees, maintenance fees, email service fees, etc. That’s why I’m asking for your help. When you give on Ko-Fi, you’re supporting me and the otaku cause. You’re helping us grow and reach more introverted nerds. You’re helping spread the message that it’s okay to be a fan of anime and manga. If The Nerdy Girl News has helped your life in some way, would you consider donating? If every reader gave as little as $1 a month, we’d be unstoppable. Secured Payments. Support goes to The Nerdy Girl News's account. Upgrade The Nerdy Girl News to a yearly Gold Membership with a one-time payment.